*Chibi (ちび, Chibi can also be written 禿び) is a Japanese word meaning “short person” or “small child.” The word has gained currency amongst fans of manga and anime. Its meaning is of someone or some animal that is small. It can be translated as “little,” but is not used the same way as chiisana (tiny, small, little in Japanese). Here is a Chibi Gigantor. 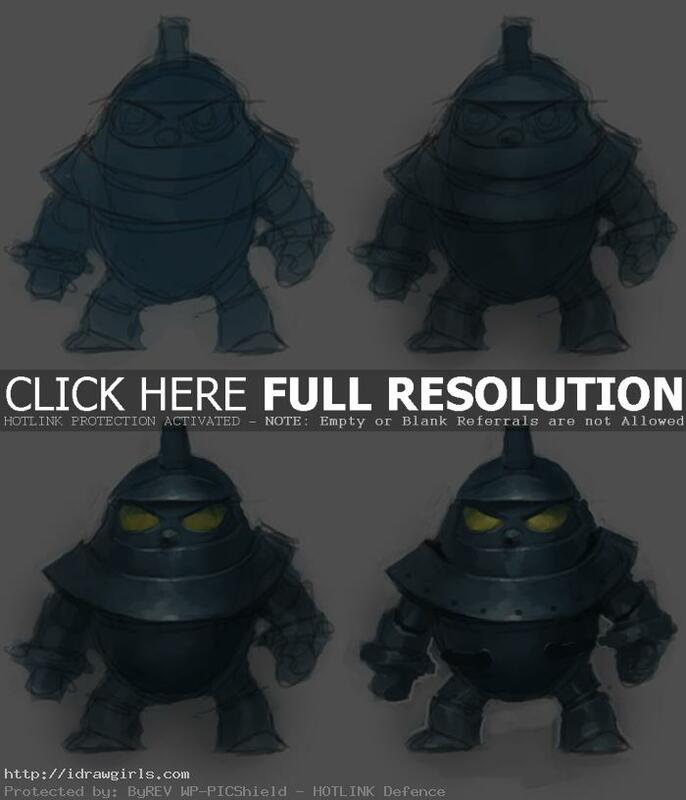 Below are step by step how to draw Chibi robot, Gigantor. 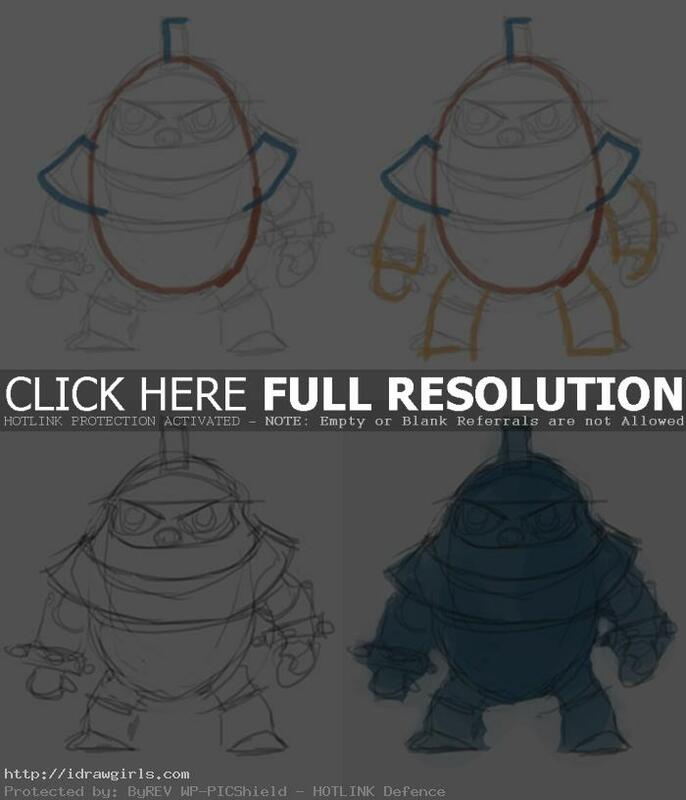 Step one, start drawing an egg shape follow the red line first, then blue line. Step two, now you can follow the yellow lines to make arms and legs. Step three, then you can slowly adding detail like shown in this image. Step four, at this point you can use blue color over the line drawn. This can be done with overlay or multiply layer on top in Photoshop or Gimp. Or you can color on a separate layer underneath the line drawn layer. 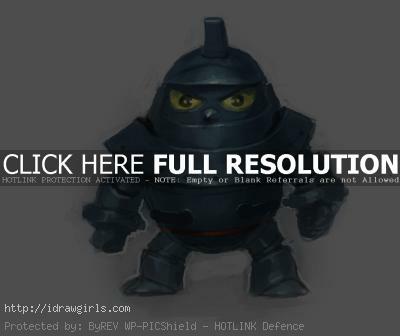 Below are step by step how to color Chibi robot, Gigantor. Step six, now you can start painting basic shadow first then light. Step seven, at this stage I am trying to achieve metal looking material on the surface. This can be done using correct amount of light and shadow. Notice that I start with his chest and his head first. Step eight, following step seven, you can apply the similar light and shadow all over the body to get the same metal looking effect. You can go watch the video tutorial how to paint metal for more detail instruction if you don’t really know how to get the metal effect in painting. More Manga Anime drawing tutorials.